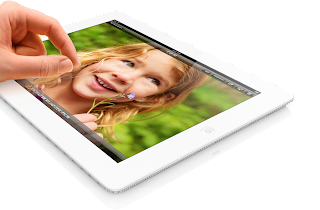 TabShowdown: Tablet Wars: Apple iPad, Microsoft Surface, Or Google Nexus 10? Tablet Wars: Apple iPad, Microsoft Surface, Or Google Nexus 10? These three tablets have unique designs, and are all a pleasure to look at, each with its pros and cons. Statistically speaking, however, I believe that the best design title goes to the Nexus 10, since it is the thinnest one, as well as the lightest (see specs). The iPad may not be as light, or as thin, but it still feels and looks good. 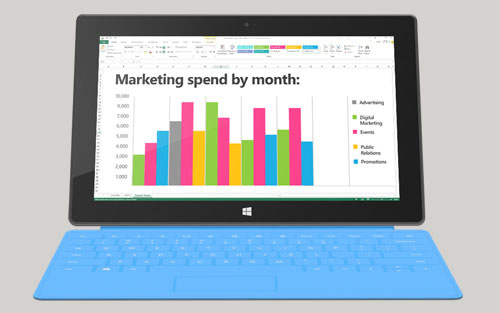 The same can't be said about the Microsoft Surface, however. 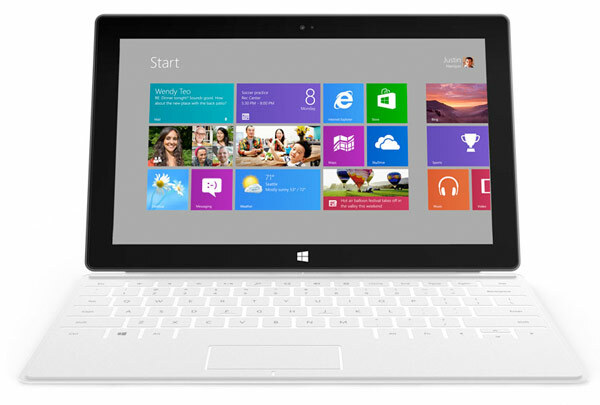 The Surface is as thick as the iPad 4, however, it is, simply put, a brick. At 680g, it is as heavy (or even heavier) than some of the first-gen tablets (the ASUS Eee Pad Transformer, for instance, weighed 680g too, and so did the first-gen iPad). The Surface's weight is simply unnacceptable for this time. That aside, the design of these slates can't be classified as better or worse; it is something each user defines. Each of these designs have their unique features, some people will like them, others won't. The interesting thing here is that we have three slates, all with different aspect ratios. Depending on the use, each of these aspect ratios may be the better one (or not). Let's begin with what I consider to be the worst display of these three tablets. The Microsoft Surface uses a 1366 x 768 display, which corresponds to a 16:9 aspect ratio. At an unusual screen size of 10.6", this translates into a 148ppi pixel density. The pixel density is on par with last-gen Android and Apple slates, but is about half of what these other two tablets offer, as a result, the screen isn't very crisp, images are not clear, and text is not sharp. The screen's color is not exactly the best, but it's not really bad. Also, the 10.6" screen might be a little too large for some people (me included). The 16:9 aspect ratio is excellent for viewing widescreen movies, however, it makes the display a tad too wide. It makes the tablet look strange. 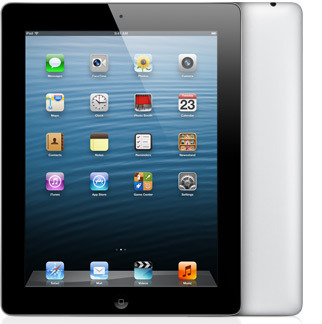 Next is the Apple iPad 4's display, the legendary and slightly overrated Retina Display. Apple was the first to choose an incredibly large display of 2048 x 1536 resolution, which resulted in a stunning 264ppi pixel density. As a result, text is razor sharp, and images are bright and clear. Apple continues delivering, also, some excellent color reproduction on the iPad 4; colors are bright and vivid, unlike most other tablets. The 4:3 aspect ratio makes the iPad almost square, and the aspect ratio might cause movies to be displayed with those annoying black bars, however, 4:3 is very good for web browsing. Finally, we have the Nexus 10's impressive display. This tablet breaks the record of tablet screen resolution the iPad set and delivers a stunning 2560 x 1600 display, which, at the 10.1" size, gives an aggressive 299ppi pixel density, making the term 'Retina Display' lose some of its luster. The Nexus 10 has Samsung's PLS display, which has been used in many of the company's Galaxy Tab slates. At any rate, PLS has proved to deliver very vivid colors, boasting some excellent color reproduction. The Nexus 10 was reported to have rather poor contrast ratio, as well as brightness, but it still delivers excellent visuals, but it shouldn't perform very well outdoors in bright, sunny days. The 16:10 aspect ratio is similar to the one in the Microsoft Surface, but it doesn't have the issue of being so wide it looks weird. Simply put, the 16:10 aspect ratio is the balance between being too square and too wide. I can't include benchmarks of the Microsoft Surface here, because Windows RT still doesn't have any synthetic benchmarks available, however, I will be including benchmarks of the same SoC (Tegra 3 T30), but on an Android device (The ASUS Transformer Prime). The Surface uses an NVIDIA Tegra 3 SoC (T30 variant), which has a Quad-core Cortex-A9 CPU @ 1.3GHz, and NVIDIA's own 12-core GeForce GPU, with a quite shabby single-channel LPDDR2-1066 memory interface (although other Tegra 3 iterations use better DDR3L memory). Microsoft's choice of using the Tegra 3 was very weird to me, considering that NVIDIA's SoC is an aging, one-year-old chip. The story is different with Apple's and Google's slates, which are both debuting a brand new SoC. The iPad 4 debuts the Apple A6X chip, which has a dual-core Swift CPU @ 1.4GHz. Swift is a custom CPU architecture created by Apple. The A6X also includes a PowerVR SGX554MP4 GPU, together with the same crazily wide memory controller found in the A5X (four LPDDR2-1066 channels), resulting in 12.8GB/s theoretical memory bandwidth. The Nexus 10 debuts the Samsung Exynos 5250 SoC, which is the first SoC to use ARM's Cortex-A15 CPU architecture. The SoC has a two Cortex-A15 cores ticking at 1.7GHz. The GPU in the Exynos 5250 is the brand new Mali-T604 GPU, which is also the first GPU to use the new midgard architecture, including an unified shader architecture. The memory interface, much like the A5X/6X, can achieve 12.8GB/s theoretical bandwidth, but in a different approach (two DDR3-1600 channels). Now let's see what synthetic benchmarks tell us about these SoCs. 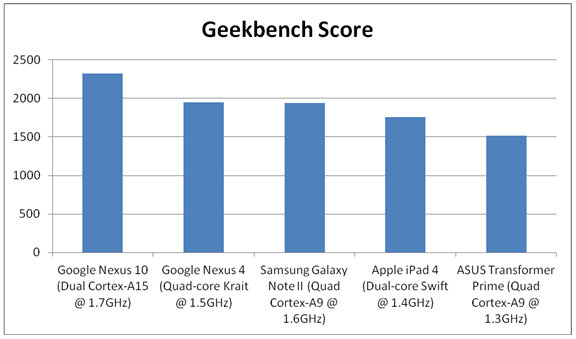 Geekbench tests mainly the compute power of the CPU. The NVIDIA Tegra 3's age shows here. After all, in its time, it was the absolute champion of CPU benchmarks, although now it isn't very good. For a brand new CPU, the Apple A6X's dual-core Swift doesn't impress, either. It is only a bit more powerful than the one-year-old Tegra 3. On the Nexus 10, we enter another realm, however. We see that the dual Cortex-A15 inside the Exynos 5250 really blasts all other competition out of the water, setting a new benchmark for mobile CPU compute power. 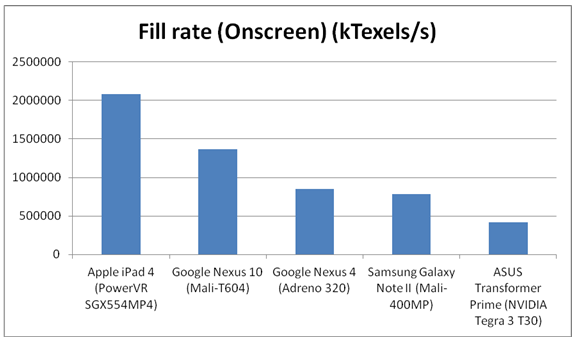 We can see just how poorly the Tegra 3 performs in terms of fill rate. We can say that the SoC's age is partially to blame here, but to be honest fill rate was never the Tegra 3's strong point. We also se a 50%+ gap between the Nexus 10 and the iPad 4. This is very strange, because both SoCs have equal theoretical memory bandwidth figures (12.8GB/s), but in any case, we see Apple is really ahead in terms of fill rate. Fill rate has always been a real forte for iDevices, after all. The Exynos 5250 isn't shabby at all, however, seeing as it is miles ahead of the other Android-based competition. 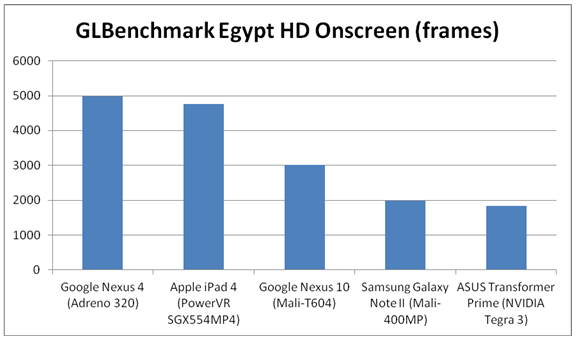 The Egypt HD test is the test that will relate closest to real gaming experience. Both the offscreen and onscreen test tell pretty much the same thing: that the Tegra 3 is an aged, last-gen GPU that cannot compete with today's competition, and therefore means that the Surface is not exactly good for gaming enthusiasts. We can also see, once again, the significant margin between the PowerVR SGX554MP4 in the A6X and the Mali-T604 in the Exynos 5250, but, then again, it is apparent that the Nexus 10 is far ahead from the Android competition (except in the Onscreen test, where the Nexus 10's immense resolution restrains it). Once again, the A6X shows unprecedented performance in triangle throughput. In terms of our other two competitors, we get a unusual little surprise here. 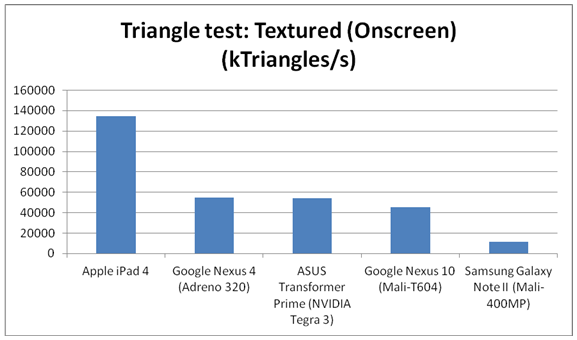 The Nexus 10 shows some very poor triangle throughput. Well, anyone who has seen ARM's last GPU benchmarked, the Mali-400MP, will know that ARM isn't very good on their geometry processing. The Mali-400 is known for having some of the lowest geometry processing power recently seen on a GPU. While ARM's new midgard architecture did help the new Mali-T6xx GPUs' geometry processing, and there is a very large improvement over its predecessor, it still isn't up to scratch. It scores even lower than the old Tegra 3. Although, it can be said that triangle throughput is something of a forte for NVIDIA, and that reflects on the fact that despite the Tegra 3's age, it can still compete fairly well with newer GPU competition. 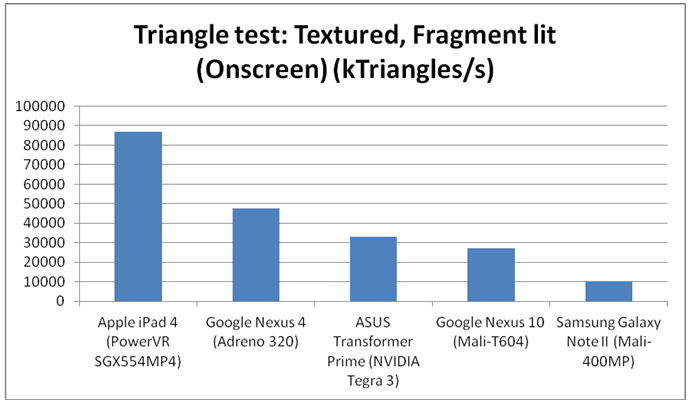 Still, the good triangle throughput doesn't save the Tegra 3 from being considered a weak GPU. 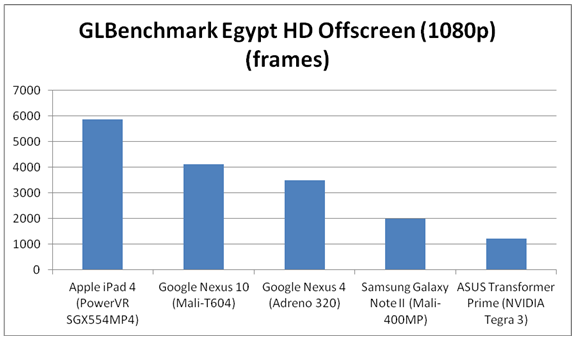 It is obvious from these tests that the Nexus 10 can take the crown for CPU power, and also packs a punch in terms of gaming performance and fill rate. The iPad 4, as usual, doesn't really excel on CPU capability, but it retrieves Apple's usual lead on the GPU performance. 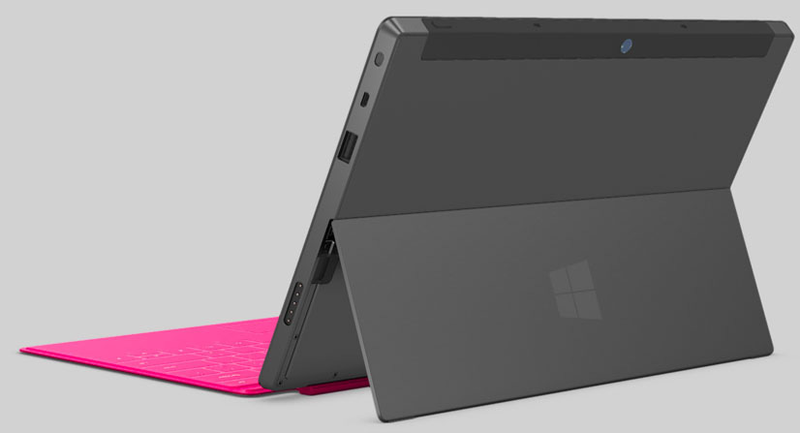 The same can't be said for the Microsoft Surface, however. Microsoft chose an aged SoC which, despite having been very powerful in its time, can no longer compete with the competition. It was inevitable that performance would be low. The CPU is still up to scratch, and isn't that far behind, however, the memory bandwidth (which hasn't ever really been very good) sets the Surface back, and the GPU performance is just awful, which means that the Surface isn't really a powerhouse for gaming. OS: No such thing as a winner here! I have spent countless hours comparing iPad iterations to different Android tablets, and I can't help but reflecting upon the numerous times when I've seen this question arise: Which OS is better, iOS or Android? This question still persists, only now it also includes Windows RT. The plainest answer to this question is: there is no true better OS; it really depends upon each person's needs. Since I can't directly put these three OSes into competition, I shall talk about them individually. iOS reflects the user-friendliness and simplicity that Apple was always known for delivering. You can understand how it works almost immediately. The apps are organized on a grid, with a lot of space between each icon (on the iPad the grid is 5x4). There is not much customization on the iOS UI, you can only change the wallpaper. The simplicity of the UI makes it extremely easy to learn, and therefore very user-friendly. Also, iOS, due to its simplicity, has always been very fast and fluid, so you shouldn't perceive any type of lag anywhere. iOS is also very fun to use, incorporating a variety of multi-touch gestures for operations like multi-tasking. To wrap it up, iOS has the widest variety of apps on the mobile OS space, and also has, by far, the largest amount of tablet-optimized apps. Basically, iOS is the most mature mobile OS we have. Android, which is Google's concept of a mobile OS, can still be considered a not-so-mature OS. It is still undergoing vast developments, but each new Android iteration is a vast step forward. 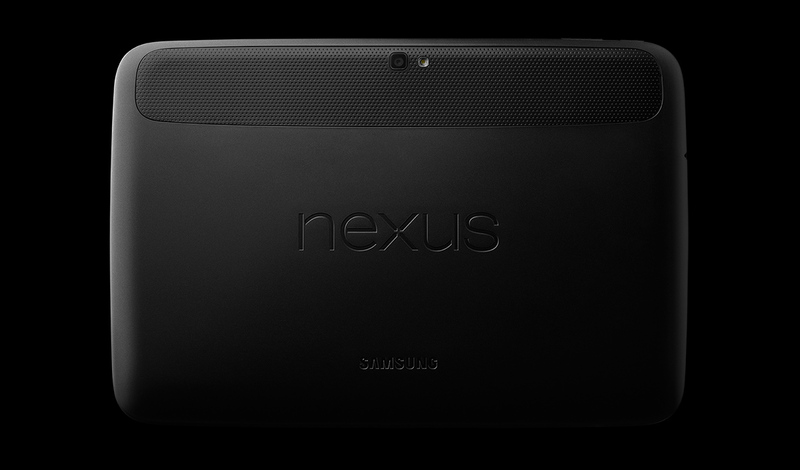 The Nexus 10 comes with the latest Android 4.2 out of the box. Android is known for, unlike iOS, being more complicated to understand and use, however, it has plenty of customization. Apart from the normal app icons, you can add widgets to the home screen, which give you quick and easy access to things like weather, e-mail, etc., but Android surely doesn't look as clean and simple as iOS. Android used to be a slow and laggy OS, but Google's recent Project Butter has siphoned out most of the laggy bits. Of course, Android still isn't perfect, you can still perceive some slight lags and slowdowns here and there, but it's nothing of a big deal. Android also has many apps available, however, few of them are really optimized for tablets (the situation is getting better, though). Oh, the brand new Windows RT. It is only a few weeks old, so it is still in its early stages. This means that there aren't many apps for the OS, but that should start to change soon enough. For a brand new OS, Windows RT is very solid, and looks very mature. It is also the mobile OS that looks the most different. iOS and Android use things like app icons and (Android only) widgets. Windows RT combines both on a concept called 'Tiles'. The Tiles are arranged very close together, and they update in real time, so they are very useful for displaying weather, e-mail, news, and stuff like that in a single page. Like iOS, Windows RT uses a variety of gestures for basic commands like switching and closing apps, and Windows RT is excellent for multi-tasking, being the first mobile OS to support displaying two apps at the same time. Windows RT also has a desktop mode, which uses a UI that is much similar to the traditional Windows UI. ﻿Windows RT is very fast, fluid, and it looks great. It is a new OS in its early stages, however, it is an extremely promising one. Well, now I face the most difficult decision I have to take in this article, which is, answering which of these tablets is the best one. No doubt, they all have their strong points and weak points, which will make them more adequate for some people and less adequate for others, therefore, it isn't easy to tell which is definitely better. The Microsoft Surface RT, as we have seen, doesn't offer excellent specs at all. Its display is really no big deal, the camera is ridiculously weak, and the tablet will suffer with performance because it uses an aged, weak SoC. It is also unusually heavy, and not as thin as its other specs should suggest. But what makes the Surface RT a good tablet? well, it's built-in kickstand might be alluring to some, and it has the luxury of having the revolutionary touch cover, which, like the iPad's smart cover, protects the screen, and then opens to reveal an extremely thin, light keyboard. Also, the Surface RT has what I believe to be the most promising mobile OS, incorporating a great UI with great performance and excellent functionality. Basically, the Surface is the perfect work companion, having the luxury of being the first mobile device to have Microsoft Office installed. The Google Nexus 10, the biggest step in Android tablets ever seen, is the perfect tablet for those who care about visuals and ergonomics. The device is remarkably thin, light, and has by far the crispest screen ever seen on a tablet, delivering bright images and sharp text, while handling it all with some very reasonable performance. 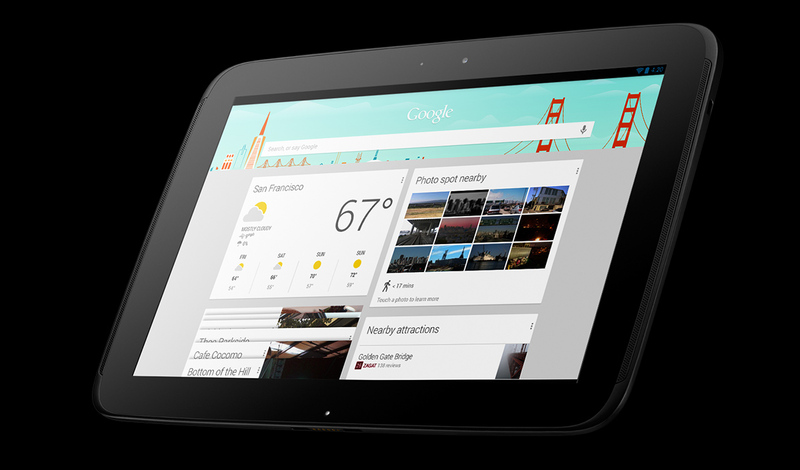 So the Nexus 10 goes to people who are allured by an outstanding display. Apple's iPad 4 is perfect for performance enthusiasts. It packs a real punch in its SoC which not only handles easily its also large Retina Display, but can also show outstanding performance with it. The iPad also offers a marvel of content, with literally an app for everything. Apart from that, there's the solidness that Apple has always offered in its iDevices; the almost crash-free UI, the user-friendliness. That is the advantage of having a variety of competitors in a market: at this point, for every type of person and preference, there is an ideal tablet PC.